Today the US Congress is only 17 percent women, which puts us 79th in the world (our ranking just dropped again). With this election we could reach “20 percent in 2012.” That’s the name of a new campaign from The 2012 Project, MissRepresentation.org’s nonpartisan partner to elect women this year (#ElectWomen2012). The 2012 Project is part of Rutgers’ Center for American Women and Politics. Check out the Miss Representation snapshot of the facts thus far. Then click on your state. And the other states. Learn what you need to do to help. Then help. Any way you can. 20% representation for over 50% population in 2012. It’s within reach. The music that celebrates equality is old. It’s new. It’s this. Probably the greatest of all of the women’s anthems. By the Queen. I came across an article today on Fox News about women and the Republican party. Lately, with rights to reproductive services being thrown up in the air, there has been debate over whether Republican policies are eroding women’s rights. 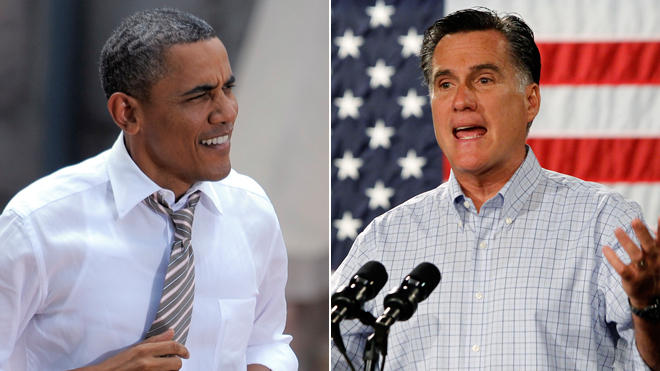 College educated women, to the author’s dismay, give Obama a 63% lead over Romney’s 32%. There are good reasons for women to be loyal Republicans, however, I do not think it has anything to do with feminism. Neither are women anti-feminist for being Democrats. We were given the assignment in class to consider what exactly it means to be a woman in today’s time. I was reminded of a quote that my African-American History teacher told us at the beginning of the semester. It means that, depending on the time period you grew up in, it shapes your thoughts, actions and beliefs. There are things back then we couldn’t even begin to imagine doing now but it was simply the way they knew things to be, leaving us no room for judgement. Likewise, you can apply it to the beliefs of women’s rights. So much has happened since the suffragettes era and yet, some things stay the same. We can vote, we can hold office positions, we can play sports, but there are some areas in this world that still firmly belong to men. Personally, the occupation I want makes things difficult for me. I want to be a sports anchor for ESPN when I get older but as everyone can imagine, sports is a mens realm. I walk into auditions and they ask me if I’m there looking for someone, not even considering i was there to try out. It happens, and although I know they don’t mean to be rude by it, it certainly makes me self conscious. Don’t get me wrong, there are tons of great things about being a woman. People open doors for you, they pull out your chair, they buy you dinner. But where is the line between being cordial and gentlemanly and doing something simply because you don’t think a woman can? I feel like this generation is in a period of transition. Don’t worry about me, I can pay for my own meal, but I wouldn’t mind you walking me home to make sure I’m alright. All in all, it’s how you present yourself and that’s how people will treat you, men and women alike. On another hand, I have another ‘strike’ against me as it were. I’m an African American woman. Back in the day, this was one of the hardest positions to be in but now, I actually have people within my major telling me it gives me leverage. We joke that TV stations need a ‘quota’ of minorities and to an extent it’s true. We’re not all white, middle class males. I have the added advantage of being a woman, making me the ultimate +1 for people looking to hire. At times, I take offense to this. Will people hire me simply because of my race and gender and not because of my skills? Should I accept it and be grateful and not ask questions and just do my job? It’s something I’ve dealt with all through college but in the end, a job is a job and in today’s economy, I’m not sure if I have room to be prideful.